Fish and Chips, bracing seaside walks and a ride on a small gauge railway were what I had in mind for my birthday weekend away in Romney Bay. What I had not reckoned on was being knocked off my bike four days before hand and being left with a broken collar bone and bruised ribs. My walking boots stayed at home in Surrey and folding myself up into a miniature railway carriage was off the cards. Instead I discovered that being so close to France has left Romney Bay with a rich defence heritage. Fear of Napoleonic invasion led to the construction of many Martello Towers around the English coast and three can still be seen between Dymchurch and Hythe. Right in the middle of the seascape view from our room was what looked like a small island. 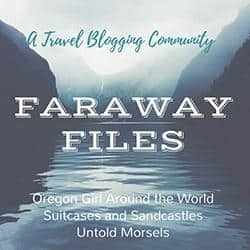 As the tide went out, closer inspection with the handy binoculars placed in the room revealed it was a manmade structure. With further research I found that it is a Phoenix caisson intended to be used in constructing a Mulberry Harbour as part of the D-Day landings. 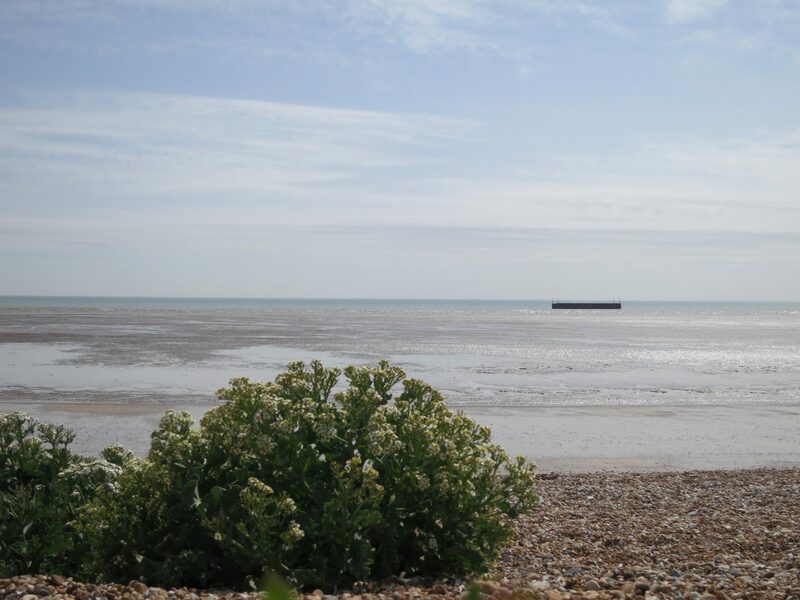 The equipment needed to construct the harbours was stored in the Romney area prior to the invasion and when the time came this particular piece could not be re-floated: it has stayed put ever since and is now a scheduled historic monument. Man-made harbours are one thing but who on earth has ever heard of a concrete ear? You can see three such things at Greatstone, not strictly ears more technically sound mirrors, but straight out of science fiction all the same. Constructed between 1928 and 1930 they were designed to pick up the sound of approaching aircraft and act as an early warning system. They could detect planes up to 24 miles away but were never used in anger as Radar was discovered and overtook the concrete monoliths. 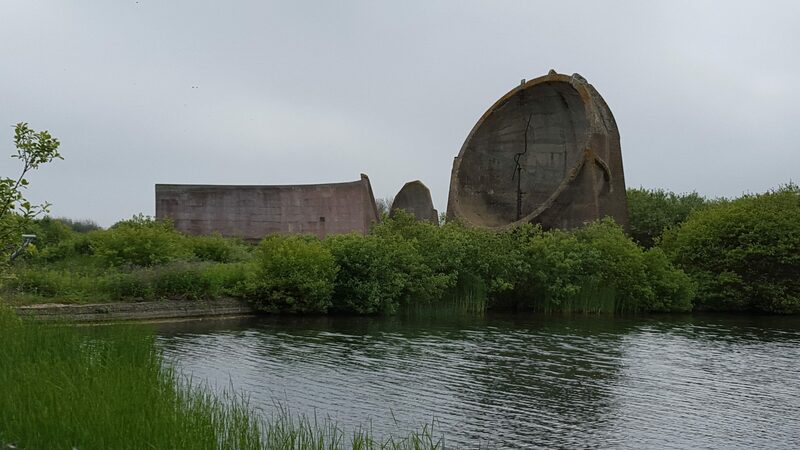 There are only a few other sound mirrors around England but you can only see three different designs together here. When we arrived at Romney Bay the tide was in and a great many fishermen were settling in for the evening with their rods and canvas shelters on the shingle shoreline. In the morning the tide had gone out to reveal the most beautiful sandy beach, the day was a sunny bank holiday and when we came to walk along it we were the only people on it. If you live in the South East and want acres of sand to play on head for Romney Bay now! 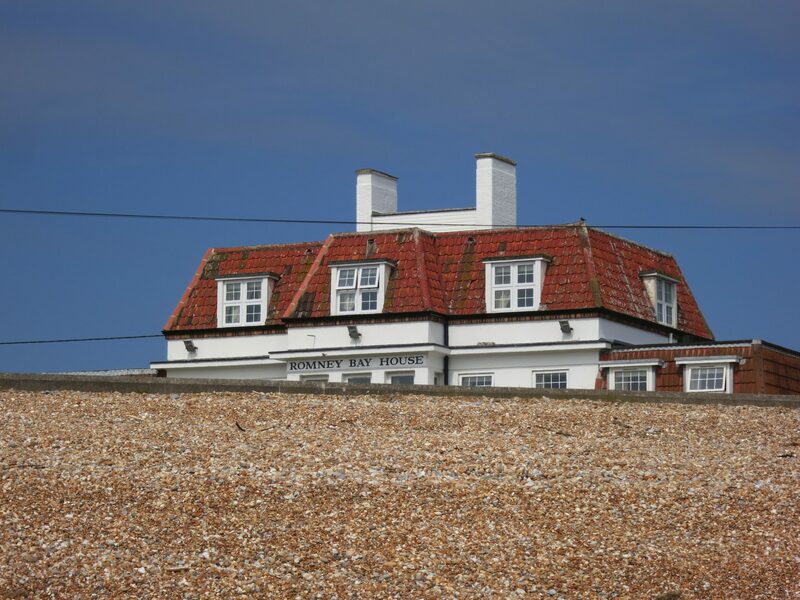 We stayed at the Romney Bay House Hotel which is right on the seafront and has amazing views. Dinner and breakfast more than matched the views. You can’t beat a seafront hotel! I’ve never been to Romney Bay. So many fine places in the south east, still to explore…..